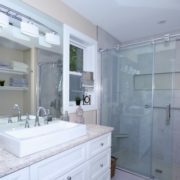 Bathroom renovations are popular with homeowners because they provide a good return on investment. When looking at the overall value of a house, bathrooms, along with kitchens, carry a large majority of both the actual and perceived value. Renovating your bathroom will not only give you a space to escape the hustle and bustle of daily life but also help increase your property value and lower time spent on the market if selling is in your future. Before setting a budget or picking out fixtures, it’s important to understand why you want to renovate your bathroom. The reasons can help you determine the scope of the project and set goals to stick to throughout the process. Make it more modern and functional? Accommodate a change in family size or use? Preparing to sell the home? Once you know the reason for your bathroom remodel, you can start to prioritize and plan out your budget, layout, and design. 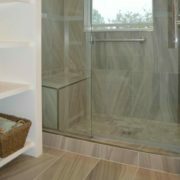 Once you’ve identified the reason(s) for your bathroom renovation, you can start to create your plan. There are three basic categories of information to consider. The massive jacuzzi tub that only gets used for dirty towel storage? Custom tile shower with built-in niches or a bench? 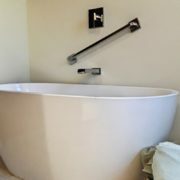 Freestanding soaker tub with a chandelier above? 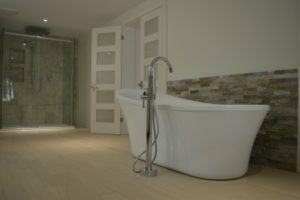 How many bathrooms are in the house and how many tubs/showers already exist? Although tubs and tub/shower combos are becoming less common, having at least one tub in the house remains a top priority for home buyers. What will the heat source be? In-floor heat for warmth is great on cold mornings. Baseboards using your existing heat source can help keep your costs low. How many people will be using the space and how often? Perhaps that floating vanity or pedestal sink won’t cut it for a large family with only one bathroom. Consider a double vanity in order to increase storage space and functionality. The information you identify will inform your final design and help you set a realistic budget that will match your goals. Facebook, Pinterest, Houzz, and the latest flip this or your favourite renovate show are great resources for idea starters and other considerations to help plan your bathroom renovations. Intricate tile patterns involve more labor and tend to be more expensive. 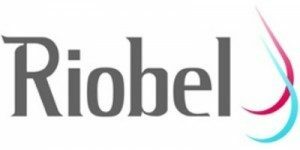 Visit a local tile supplier to check prices, you’d be surprised how quickly tile costs can add up and eat away at your budget and remember there will be additional labor costs for installation. Electrical components including pot lights, vanity lights, bath fans & in-floor heat add up quickly and can be costly when completed by a licensed professional. If possible, maintain existing plumbing locations (especially the toilet) in order to avoid expensive plumbing bills. Consider quality and be selective with your fixture selections. A simple rain head can range from $50 to $500, but it’s not much of a deal if it stops working after a short time. Depending on the scope, size, materials, and fixtures, a bathroom renovation can run from $5,000 to $30,000 so do your homework and stick with your plans. Do your research on materials and design options. Set a realistic budget and have a plan for adjustment if unexpected expenses arise. Contact a professional renovator to help with the design, budget and product selection. 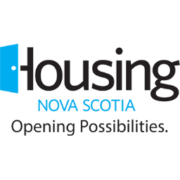 Obtain a permit – if plumbing is being moved, structure changed, or the cost is estimated to be over $5,000 YOU NEED A PERMIT! Enjoy the process – renovations can be stressful but remember why you’re doing it. Keep in mind this is something you will be able to enjoy for years to come. 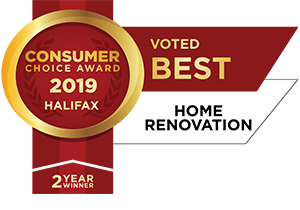 All-Craft takes the time to educate our clients on the latest trends and styles for bathroom renovations in Halifax, Nova Scotia. 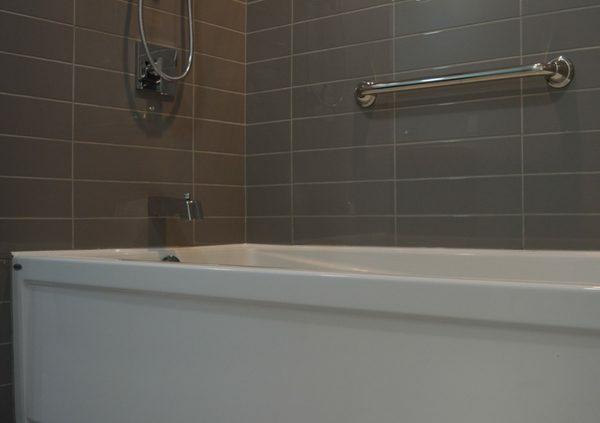 It is important that you have all the information before picking out materials, working with a professional renovator will help you plan your bathroom renovations. When it comes to design, there are numerous questions that need answering when building your deck. A deck is a lifestyle, not just a structure. Your outdoor space provides you relaxation and a place to make lasting memories. Whether you’re building a small deck or an outdoor living room, this home improvement will provide enjoyment for the whole family. 1. What is Your Style? When deciding on a style for your deck, you should always consider the architectural look of your home. For example, a modern deck probably would not look ecstatically pleasing if you have a Colonial home. When building a deck for a Colonial home, you could use elements like white moulded railings with decorative posts caps and incorporate planter boxes and benches. 2. What About Railings? 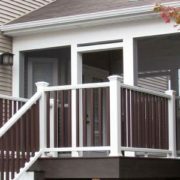 Once you have decided what style deck you are going to build, picking your railing choice becomes a bit easier. Budget and purpose are two questions you have to think about. 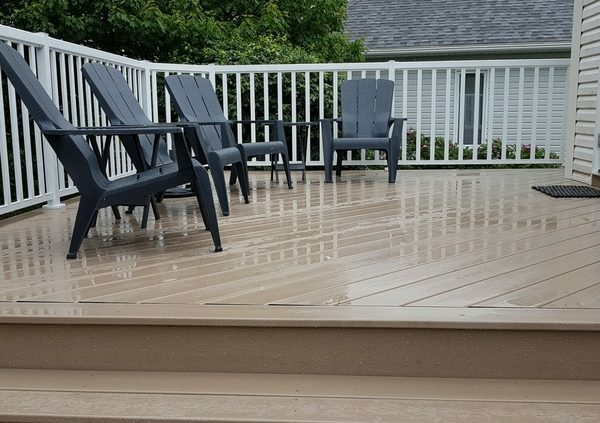 Most people think of railings as the finishing parts of the decks structure, but a railing system is your finishing accessory to tie your deck style together. You have to take in consideration your view, weather and privacy when picking out your railing system. If you have a view that you love to admire, you might want to think about a tempered glass railing system or another new option is the Crystal Railing by Regal. What About Privacy? What you do on your deck is your business, you can enjoy the deck-life anyway you want. 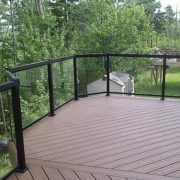 With privacy railing you are able to have privacy and protection from unwanted weather elements. What Decking Materials? 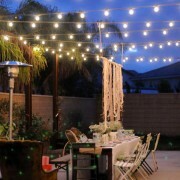 That “B” word keeps popping up when designing your dream outdoor space, BUDGET. First set a budget, pressure treated wood is your most cost efficient material. But if you are looking for a maintenance free deck and your budget allows for it, a Composite or PVC decking material is the way to go. Behind every stylish deck design should be a good plan and great workmanship. If you are looking at building a deck contact one of All-Crafts Outdoor living Specialists. Backyard lighting is trending in Halifax, NS. 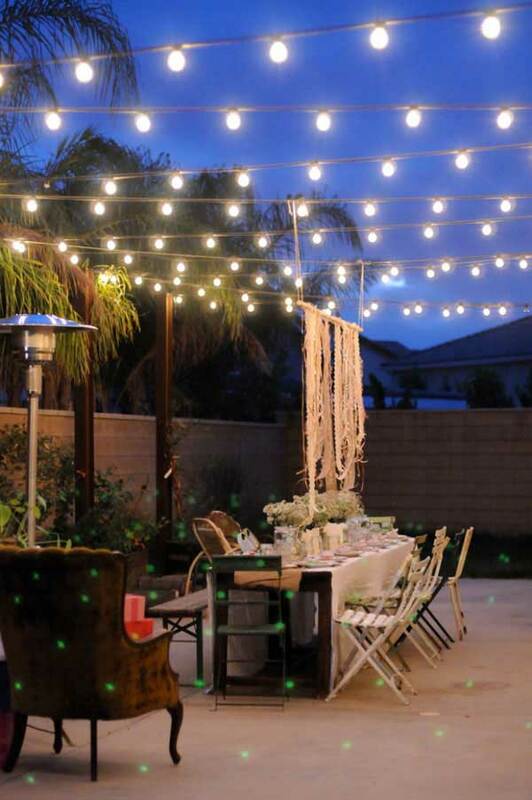 The right backyard lighting can transform your patio into an outdoor oasis that sparkles in the night. 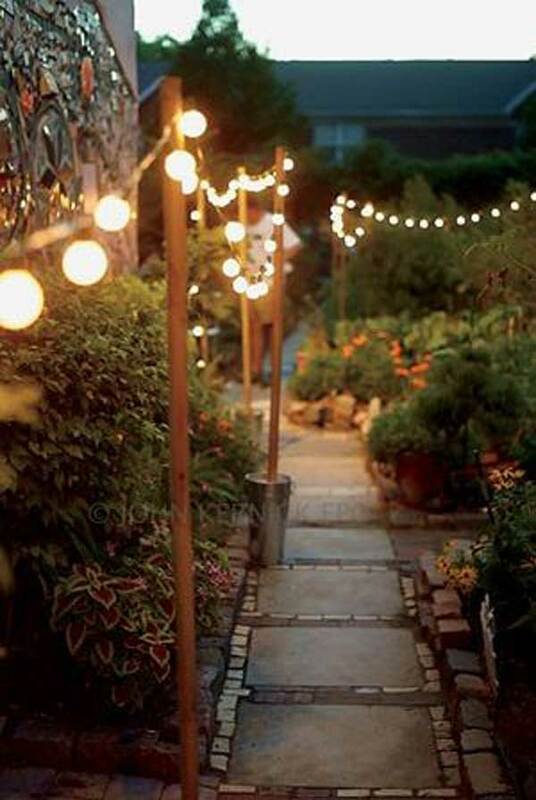 Backyard lights can range from wall lights to string lights. 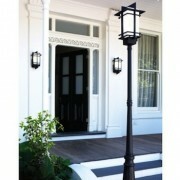 Depending on which outdoor space your lighting up will help you make your selection in lighting style and design. 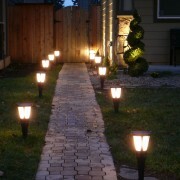 Wall Lighting: Outdoor wall lighting emphasizes your front and back door, warmly welcoming friends and family. 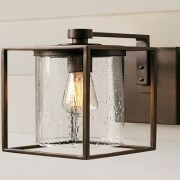 Wall lighting provides a warm ambiance, highlighting your homes details. When choosing your wall fixture, look around your outdoor living room, pay attention to your style of your doors, decide what style you are looking for. 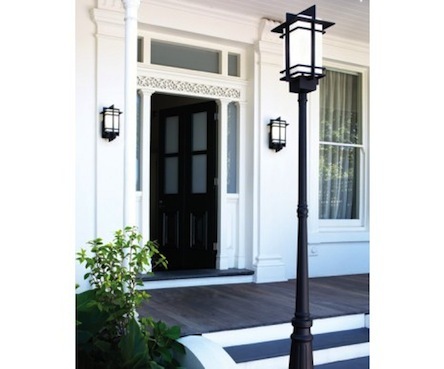 Are you looking for traditional, antique or contemporary and always keep your lighting style in sync with the overall architectural style of your space. 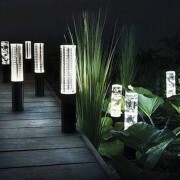 String Lighting-This style of outdoor lighting gives new meaning to the word ‘multi-use’. 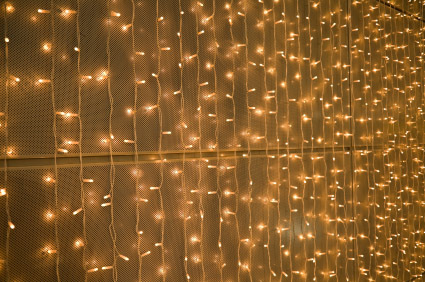 String lighting works with every season and every occasion! 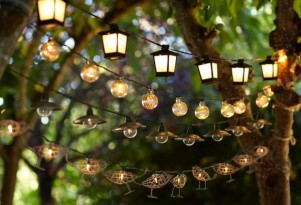 String lighting is a great way to unleash your imagination, personalizing your backyard space. 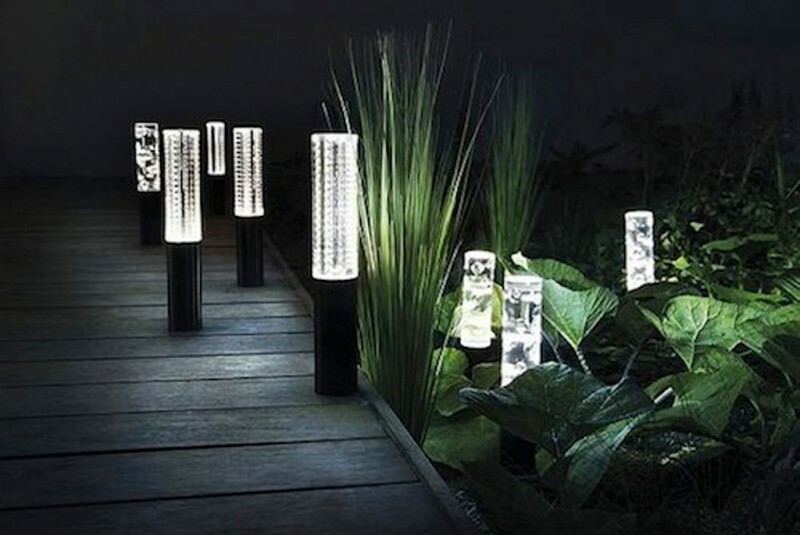 This is an inexpensive way to add creativity to any outdoor space and can be installed with little hassle. 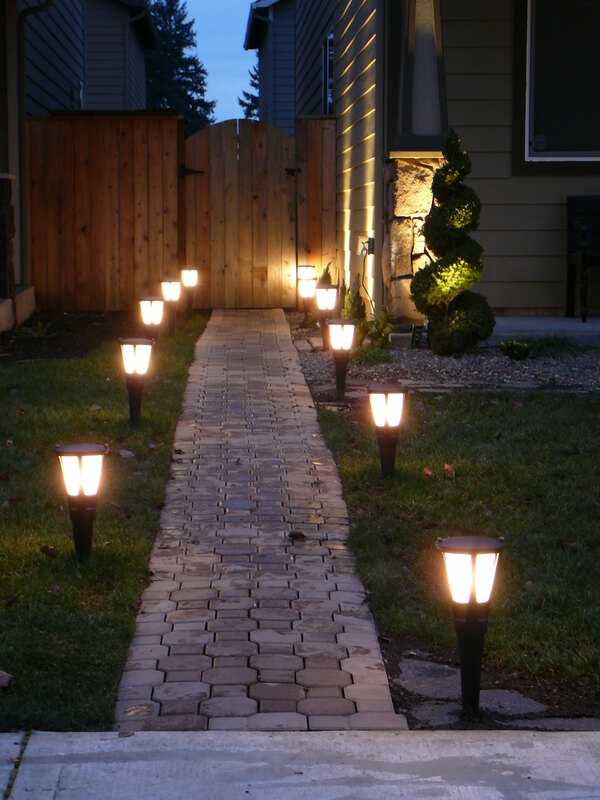 Homeowners have the choice between using solar or electrical backyard lights. 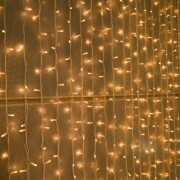 Either choice offers you an abundance of options for beautiful lighting décor. One thought to think about when choosing between solar-lighting and low voltage lighting is how bright you want your light and how comfortable you are installing your lighting if you are installing yourself. 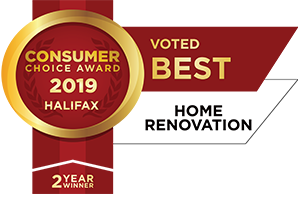 All-Craft is a multi-award winning deck design and build firm servicing Halifax and surrounding areas, focusing on taking your vision and making it a reality. With universal design, top-of-mind awareness is focused on interior design when it comes to renovations, a safe and accessible lifestyle is important inside and out. Research has shown that spending more time outdoors can boost your immune system, promote positive energy and create a relaxing lifestyle. 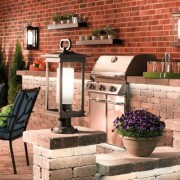 Outdoor living has become one of Canada’s top investments for renovations. People want to spend more time enjoying family and entertaining in their backyards. A universal design can ensure that you can welcome company of different ages and abilities. 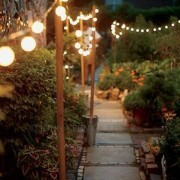 Thoughtful exterior design considerations like lighting, pathways and raised gardens can help you enjoy your backyard. But, on a more larger scale, when designing your backyard for the future, implementing the following design features will help accommodate any life changing events. Pathways with edging– Your pathways should have adequate lighting and have a solid surface to accommodate wheelchairs and walkers. A non-slip pathway helps with stability as well (Pathways should be at least 42″ wide). Edging will help with depth perception. Ramps, Rails and Lifts– The “deck life” is a summer trend in Canada. Decks are no longer your basic 12 x 12 box. 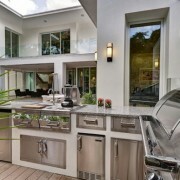 People are investing in a an outdoor living space that can include kitchens, showers, hot tubs and trendy dinning areas. When designing an exterior space to enjoy, consider mobility and accessibility. Implementing a ramp, outdoor stair lift or an incline platform will ensure stress-free accessibility. Nobody can predict the future, but you can plan for it. With interior renovations we find that all age groups are putting in grab bars and building with a universal design. Now it is time to plan for the future outside, so that no matter what, you can enjoy the fresh air. 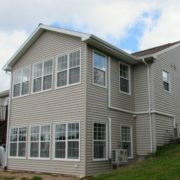 When thinking of renovating your backyard to customize it to your lifestyle needs, make sure you hire a professional in exterior renovations who has an Aging-In-Place professional with CAPS(Certified Aging in Place Specialist) training working for them. Faucets are the jewels that make your bathroom renovation sparkle. 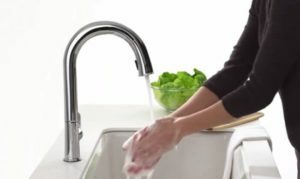 Consider style and function when making your faucet selections. Before choosing a bathroom faucet, think of it as the bling in your bathroom. Pick a style the suits the look you want to achieve with your bathroom remodel. 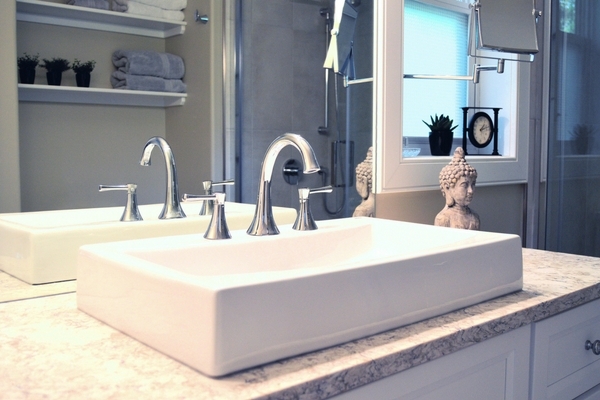 Faucets add definition to any vanity or shower. Faucets vary in price, from $40 to $500 depending on finish,technology and style. Brushed nickel and Chrome are your least expensive, polished brass or oil-rubbed bronze are your more expensive finishes. It is always a good idea to have a budget in mind when you set out to faucet shop. When buying a faucet, always ask about warranties on the mechanics and the finishes. When purchasing your fixtures, try to obtain all of your materials from the same supplier to ensure you get the matching finishes. 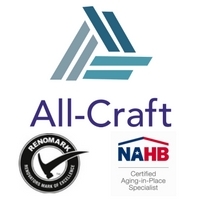 With every bathroom remodel, All-Craft takes the time to educate our clients on trends and styles. It is important that you have all the information before picking out materials, working with a professional renovator will help you find the right faucet supplier for your project. Why renovate your kitchen, the reasons are endless and so are the trends. If you are planning on doing some remodeling this year, make sure your kitchen is on the top of the list. Kitchens have become the focal point of the house. The basement use to be the go to place for a party, but now everyone is congregating in the kitchen, having kitchen parties. Stone is still Supreme– Stone is sleek and stylish and also low maintenance. Coming in a variety of colors and finishes, stone provides your kitchen with a unique look from elegant to chic. Smart Kitchen-Technology plays a huge part in everyday life, including when you are in your kitchen. From sensor-equipped faucets to talking appliances, one trend to incorporate in your remodel is smart gadgets. Color Crazy-Natural wood colors use to be the trend, but now the color palette has expanded. 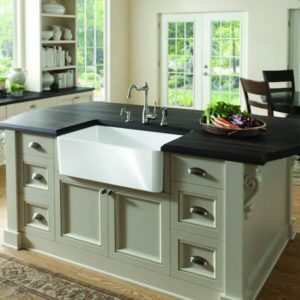 Grey and white seem to be the most popular colors but you can find black cabinetry being used in large kitchens, you need to have space to pull of black. Storage Can Be Stylish-A well designed functional kitchen uses all the space available in the room. Storage is always important in a home, but especially in the kitchen. 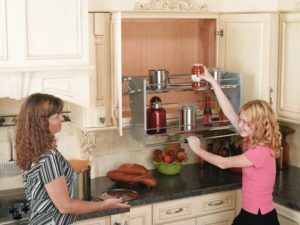 Pull-outs for spices, roll-out trays, caddies and recycling centers are great storage options. If you have space, you can put a pantry in using a trendy decorative door (barn door) as the focal point. Islands with out a beach-The reasons for having an island in your kitchen are endless. Islands can be stationary or mobile providing you options for location and size. An island adds storage and additional cabinetry. It is a place where the kids can sit and chat about their day while you prep for dinner. Visit their social media platforms and website. 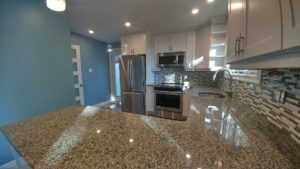 A professional renovator is proud to show off their work. 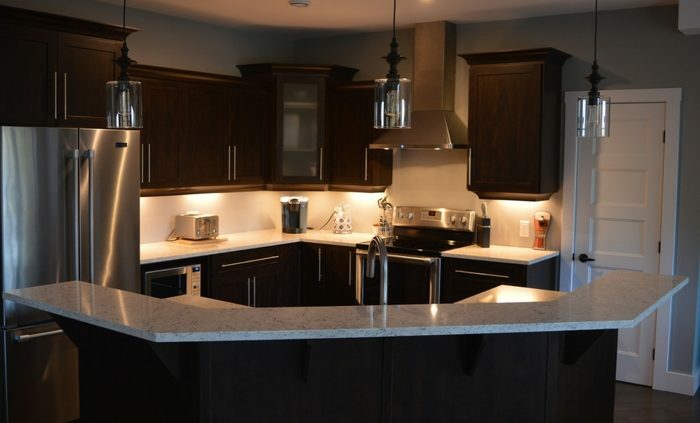 On average, Canadians are spending between 25k to 50k on a kitchen remodel. This is where your budget determines your ‘needs’ and ‘wants’. 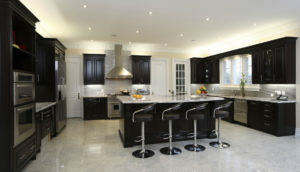 Cabinetry, countertops, appliances and electrical are the big $$ factors with a kitchen renovation. But these materials are the most crucial aspect of your renovation when it comes to functionality and style. Working with a designer and a contractor will help you get the best quality material for the best price as they usually get contractors pricing. In today’s family home, the kitchen is that place where you all meet to chat about the day and what the plans are, you hear the good news and bad news and you celebrate birthdays and anniversaries there. Is your kitchen ready for some attention?